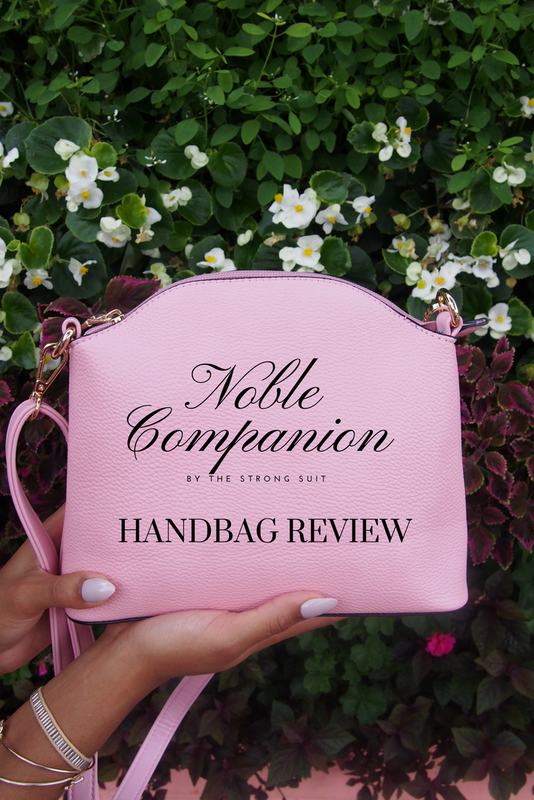 If you are subscribed to The Strong Suits YouTube channel--which you should be--then you will know that I recently did a handbag review for a company called Noble Companion. 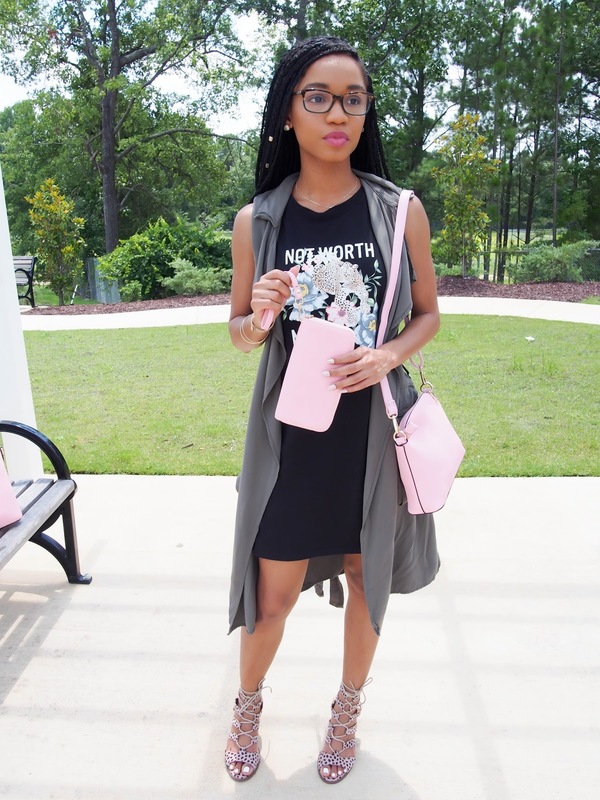 Noble Companion is an online fashion handbag boutique. 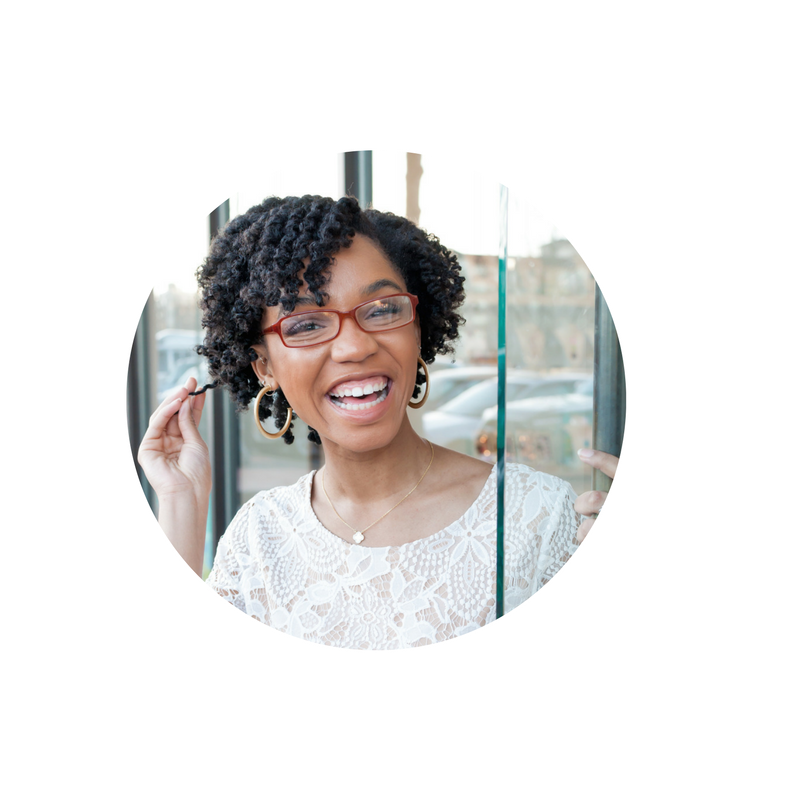 Chamecia—the founder—made it her mission is to provide women with quality handbags at an affordable price. I was gifted the Chamecia trio and I absolutely love it. Included in the trio is a tote bag, a cross body bag with a removable strap, and a wallet with a removable wristlet attachment. 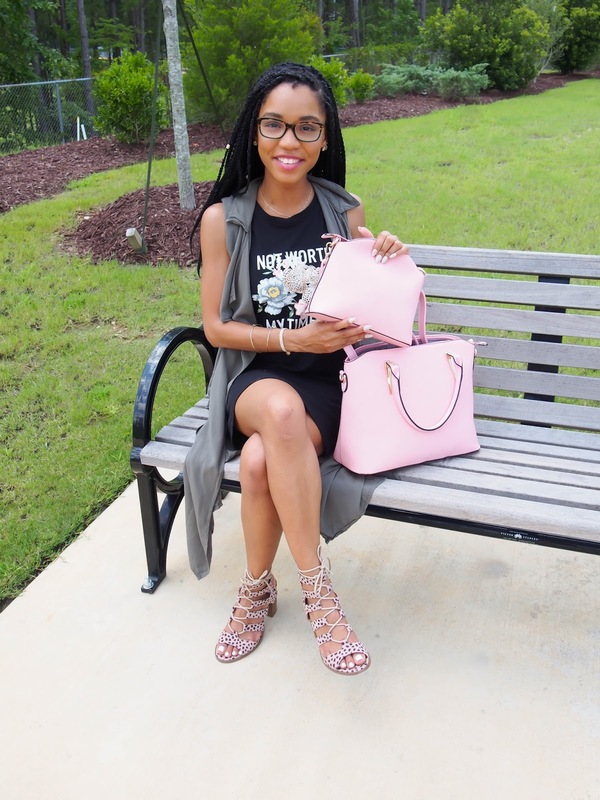 I mention in my video that cross body purses are usually my go to! They are so convenient and have just the right amount of space so I don't feel the need to put my whole life into it. I am also pretty hard on purses and they usually break within a few months. The Chamecia trio is made of quality material and I feel really confident that I will be able to keep these lovely three bags in my wardrobe for a long time. I give an I depth review on my YouTube channel you can check out here. 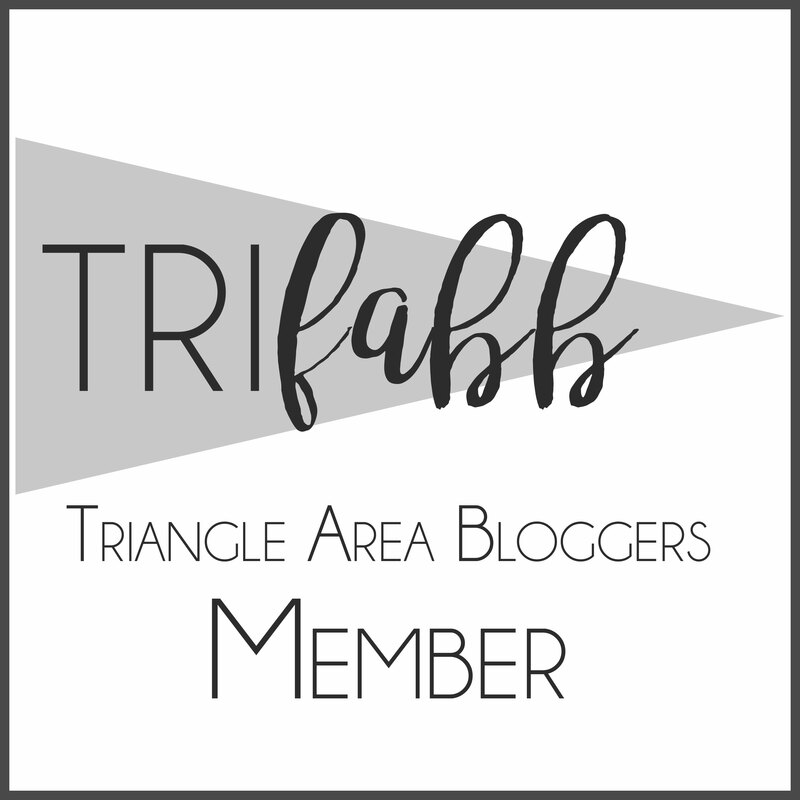 Let's talk fashion! 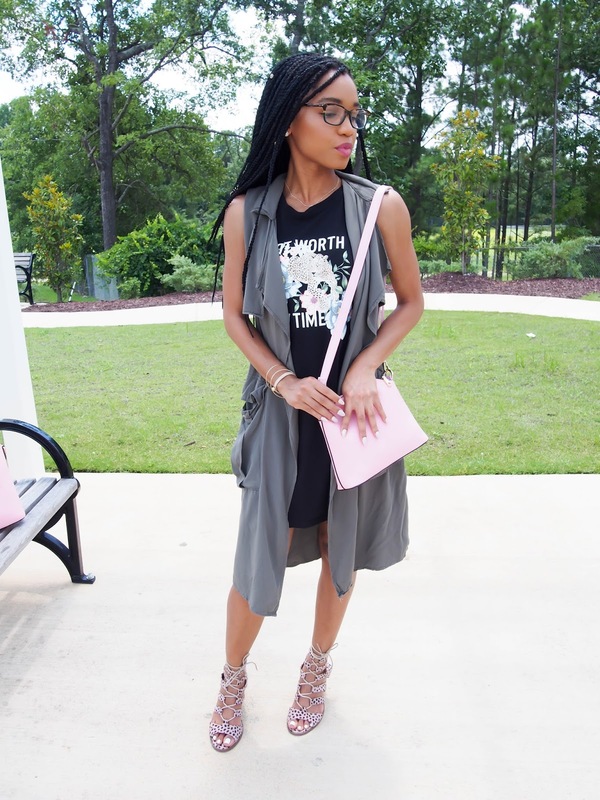 For this look I pulled out one of my favorite tee shirt dresses from H&M and a duster vest that I got from target for a steal! I love Olive and I'm happy that it is a color that is acceptable in almost every season. 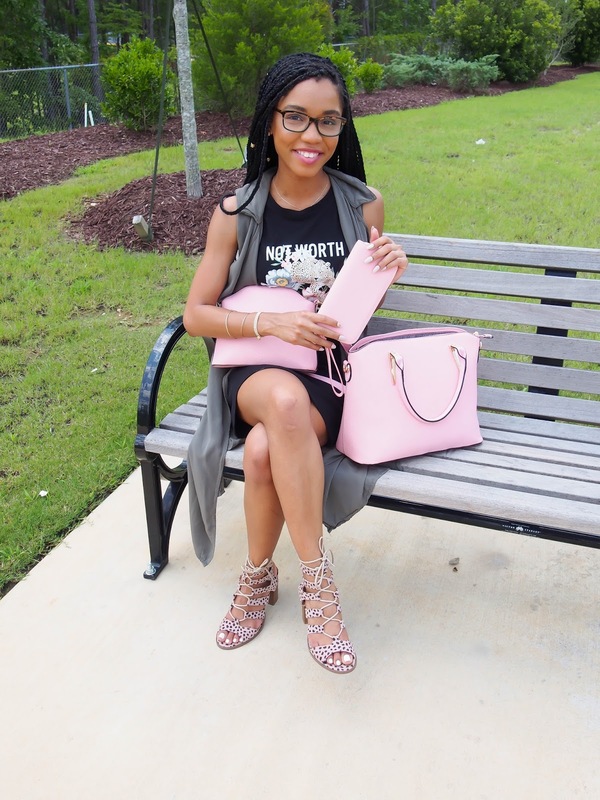 I paired my cheetah block heels with this outfit to add a little pizazz when it comes to patterns! I got these babies from CR for only $15! Charlotte Russe ALWAYS has the best sales when it comes to shoes. Check out that clearance section! I'm getting so excited for fall seeing as this summer has been so hot and at this point I'm just ready for mugs and sweaters. I can't wait to wear my olive sister over a turtle neck or cute sweater once it decides to cool down! What's your favorite fall piece you're excited to wear? Make sure you check out the you've video here, and don’t forget to check out Noble Companion’s website (www.shopnoblecompanion.com) and use my discount code StrongSuit for an extra 15% off!